I love tools that help make the cost of travel lower. 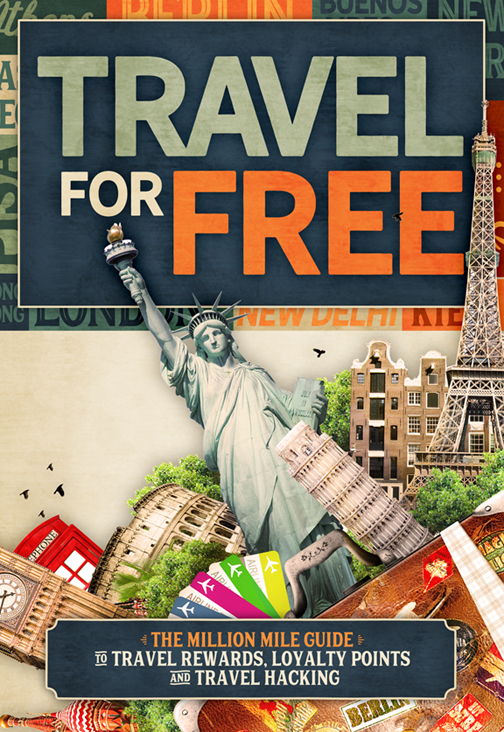 When I first started my blog, I wrote about the best websites for finding cheap airfare. That list is mostly unchanged (although Google Flights Explore has been merged into Google Flights), however there are some new websites that have entered the scene, as well as some phone apps. A new website for finding cheap flights is Escape. The site starts off pretty benign, with just a simple interface asking where you’re departing from and for what dates. When you select dates, you’re also given the option of selecting a One-Way fare too. The site pulls flights from other online travel agencies (OTA’s) like Skyscanner, and Kiwi.com and also displays flights from low-cost U.S. airlines like Southwest, Sun Country, Frontier and Spirit. The site doesn’t actually have booking functionality, but instead directs users to outside websites where flights can be purchased. I assume the site makes money from those referrals/relationships. From there an interactive map shows all the places in the world that you can fly to on a certain budget from any location during a given time frame. The top of the search results page shows the price range for flights found, and also a currency filter. In my case, searching out a couple months in advance produced a range of $117 to $4,249. Flights/cities colored green are the cheapest, followed by yellow (good to moderately priced) with darker brown and red cities being the most expensive. The color scheme is a bit odd though, because it seems like the flight price is colored relative only to the other flights shown. 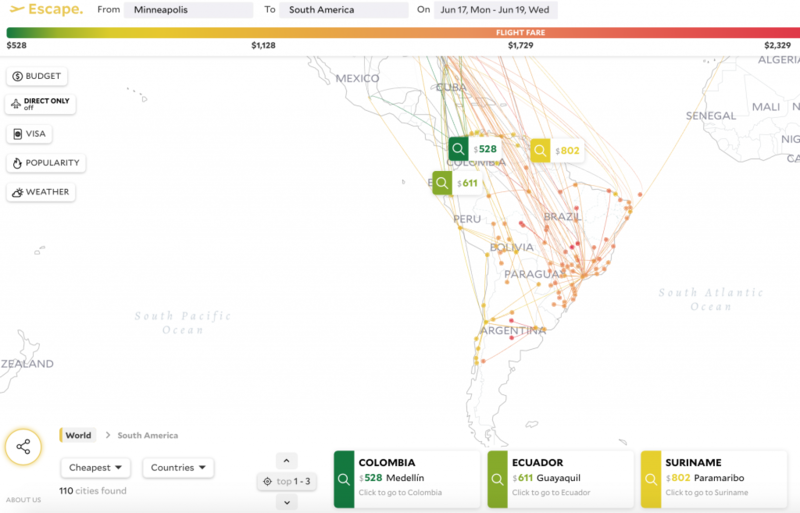 For example, in my initial search results, Medellin, Columbia is colored yellow (showing a good flight), but upon clicking on that result, the map zooms in to South America and the flight changes to green (signifying the cheapest option for all flights displayed). Depending on the zoom level or what area of land you’re searching, the flight price won’t change but the color that signifies a good or great deal might. There’s also a tie-in with Tripadvisor with attractions near your destination. The feature is interesting to see, but not especially smooth in use. Also, results for major cities, like Minneapolis or Chicago show plentiful search results, but smaller, more isolated cities like Cheyenne, Wyoming, seem to produce few to no results (below). 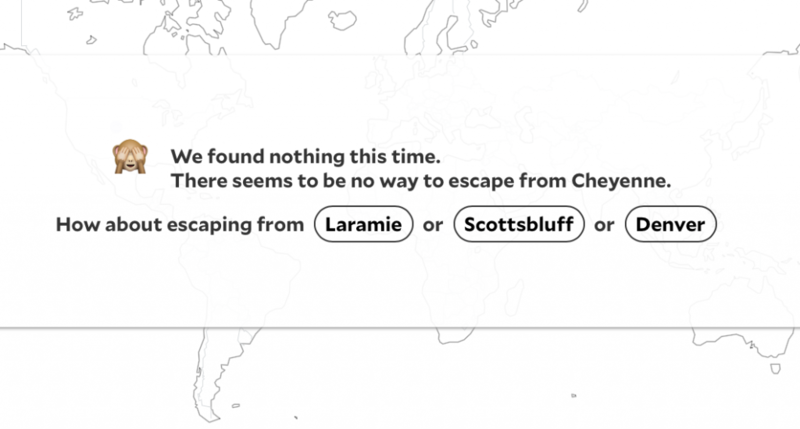 No bueno for Cheyenne flight searches. The website has some interesting displays and functionality, but it needs more improvement. Major search options like class of service, specific airline, airline alliance, hours in the air, and others are missing. Worse yet, other sites like Kayak Explore and Google Flights Explore have those features (and more). The About page shows a log of changes that the developers have made. Based on that timeline, it’s likely that more enhancements will continue to be made this year. This site is interesting, but won’t get much of my time for searches until it becomes competitive with the larger, more versatile search sites. I’m emailing the development team with some suggestions. It’s still a new site, and most people aren’t aware of it, so hopefully they keep improving it and adding unique options for users.